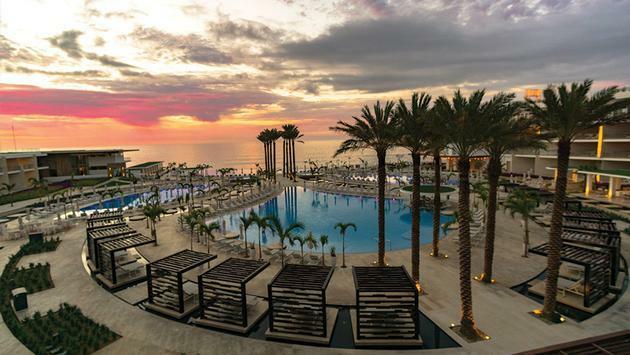 With numerous stunning oceanfront resorts in its Mexico portfolio, Palace Resorts has a property to fulfill nearly every type of vacation dream. Whether its Cozumel Palace, Isla Mujeres Palace, or Le Blanc Spa Resort Cancun, or perhaps Playacar Palace or Sun Palace, (to name just a few of the drool-worthy Palace properties) there’s a beachfront resort calling your name. Here are some of the most important features of each Palace Resorts property in Mexico, to help you fill in the details of your vacation dreams. A property characterized by its playfully chic vibe, Beach Palace puts you in the heart of Cancun. A luxury, all-inclusive resort aimed at both families and couples, amenities include two rooftop pools, a Sky Lounge rooftop bar, and Awe Body therapies at the spa. Guest rooms, meanwhile, are designed to be sanctuaries of unforgettable luxury. 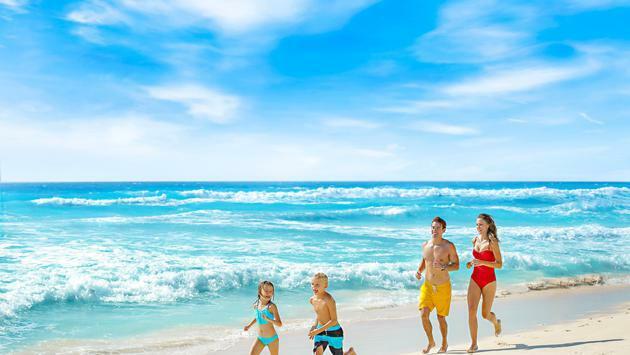 There’s also vast stretches of sandy white beach at Beach Palace, which was ranked among the top resorts in Cancun by TripAdvisor. For those who love water sports, look no further than Cozumel Palace. This all-inclusive resort is a slice of heaven for divers and allows for scuba diving or snorkeling right off of the property’s dock. There are countless additional activities as well including exploring ancient Mayan ruins, pool volleyball and a fitness center. All 169 of the property’s luxe suites look out into the pristine waters of the Caribbean Ocean. This all-inclusive, couples-only offering puts you in the midst of a luxurious paradise in Isla Mujeres. Designed to be a lover’s escape, Isla Mujeres Palace features sweet, rustic refinement. It’s a place where you can spend afternoons sipping craft cocktails under a thatched-roof hut or dozing off in a hammock. Couples spa treatments, kayaking and snorkeling are also possibilities here. The resort is all about providing a place where guests can do as little or as much as they like. Perched beside the glistening turquoise waters and powdery white sands of Playa del Carmen, a destination known for its laid-back charm, Playacar Palace is yet another picturesque option. The resort is located just steps from the town center, along the famous Quinta Avenida, a road known for its shops, restaurants and bars. If culture, shopping and Mexican hospitality is at the top of your agenda, this property should be at the top of your list. Sun Palace is a luxury, adults-only oasis for couples that’s tucked away along the Mexican Caribbean. Its features include world-class chefs, top-shelf drinks and a spa sanctuary, all of which make for an ideal romantic retreat. And did we mention the engaging nightly entertainment and nightclubs? The new luxurious accommodations at Moon Palace Cancun, The Grand is all about elegance to the hilt, technology and convenience. It’s also a place where you can have every craving satisfied. At The Grand, the offerings include a 76,875 square foot spa, exotic tours, championship golf and a long list of lavish kid and family-friendly attractions (including a state-of-the-art playroom). 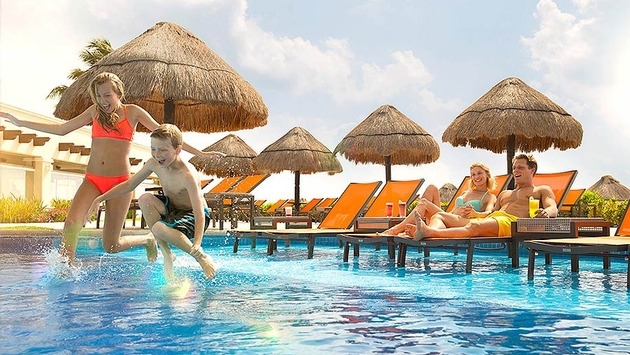 (photo courtesy of Moon Palace Cancun). A dynamic property featuring 12 restaurants, 13 bars and a 27-hole Jack Nicklaus Signature Golf Course, Moon Palace Cancun offers fun from sun-up until sun-down. The resort also includes a world-class Awe Spa, exotic tours and upscale nightlife. And like many other Palace properties, Moon Palace also features state-of-the-art kids and teens spaces. How does breezy elegance and boundless pampering sound for a vacation dream? That’s what guests at Le Blanc Spa Resort Cancun will find. A property that exudes a sensation of intimate escape, each room has been created to be a stately oasis. This adults-only playground, nestled near some of the area’s most immaculate beaches, features pristine infinity pools overlooking Cancun's most spectacular beach, and haute cuisine morning, noon and night. Last but not least, this jewel of a property can be found at the Southern tip of Mexico’s Baja California Peninsula, where the Pacific Ocean meets the Gulf Of California. 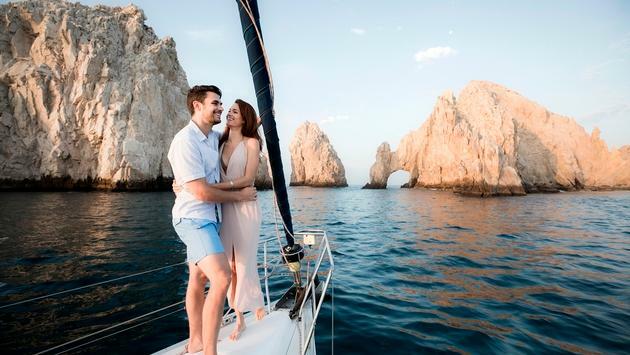 Visitors arrive from around the world to soak up the region’s breathtaking coral reefs, the famed journey of whales, and the much photographed “El Arco”—the natural stone archway suspended over Los Cabos’ turquoise waters. Need still more reasons to visit? 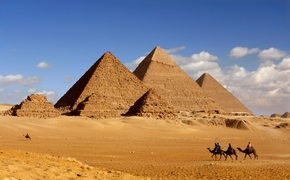 Additional pleasures include golf, shopping, and a jumping nightlife scene.